Join us for the launch of ALL THE WOMEN IN MY FAMILY SING, edited by Deborah Santana. Since the Women’s March in January 2017, there has been a growing sense of solidarity amongst women who refuse to be silenced. What began as a protest of women from every racial and socioeconomic background has evolved into a social and political movement. We have seen arguably some of the most prominent, influential men in television and Hollywood be ejected from the industry once women began to bravely step forward to share their horror stories of sexual assault and abuse. The fall elections saw historic results when Danica Roem unseated 26-year delegate Robert G. Marshall in Virginia, making her the first openly transgender in the state’s legislature. And medical professional Ashley Bennett, who decided to run against Atlantic County NJ Freeholder John Carman after he mocked the Women’s March at a local meeting, successfully knocked him off the board. The last several months have proven that women’s voices really do matter and can make a difference. 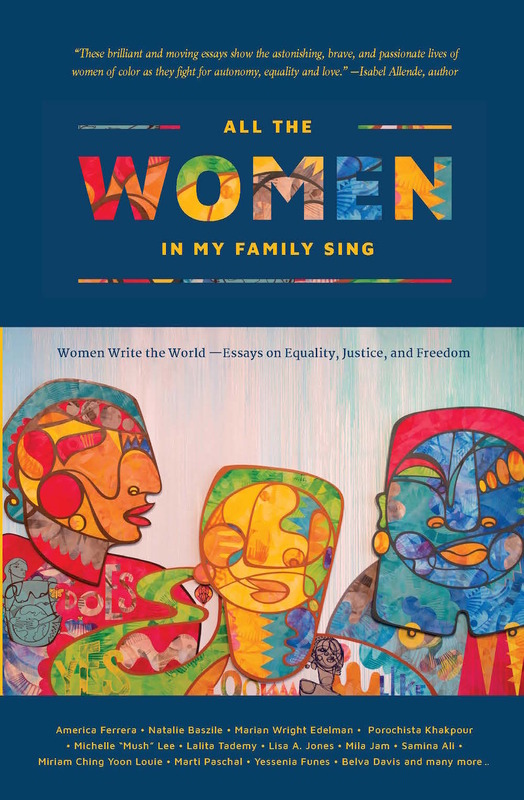 Three years ago when author/activist Deborah Santana decided to publish ALL THE WOMEN IN MY FAMILY SING: Women Write the World — Essays on Equality, Justice, and Freedom, she felt a growing need to illuminate the diversity and complexity of women’s experiences in the world. She felt there was an increasing void when it came to women expressing themselves in a meaningful and emotional way about the many important topics that impact their daily lives, especially women of color. ALL THE WOMEN IN MY FAMILY SING is monumental and timely as human rights and justice are being challenged around the world. It is a watershed title that is both written and published entirely by women of color, including the editing, book cover design, and promotions. Our vision is to empower underrepresented voices and to impact the world of book publishing in America — particularly important in an industry that considerably lacks diversity. Deborah Santana is an author, seeker and activist for peace and social justice. She is founder of Do A Little, a nonprofit that serves women and girls in the areas of health, education and happiness. In 2005, she published a memoir, Space Between the Stars: My Journey to an Open Heart, and has produced five short documentary films. She is mother to three beloved adult children: Salvador, a songwriter and instrumental artist; Stella, a singer/songwriter; and Angelica, an archivist and film producer. 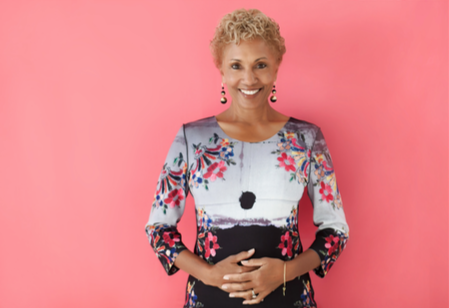 She is a leadership donor to the Smithsonian National Museum of African American History and Culture and has a master’s degree in philosophy and religion, with a concentration in women’s spirituality.